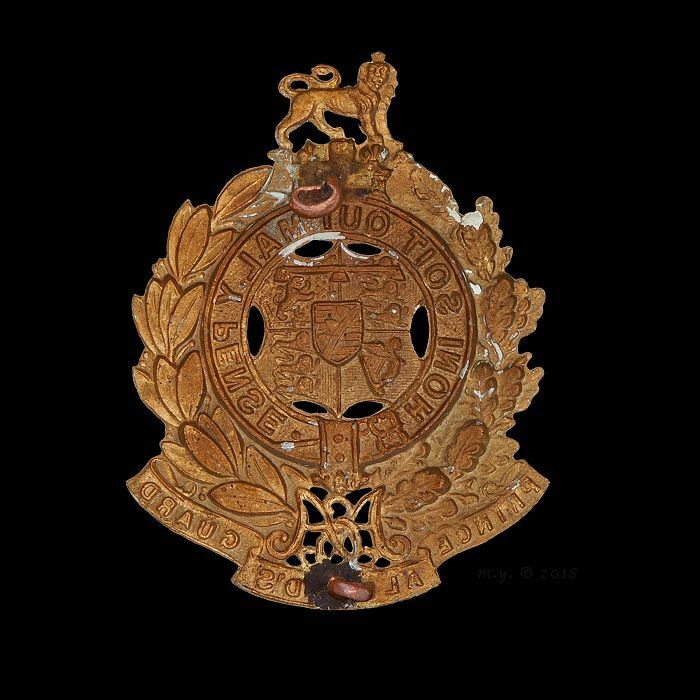 Prince Alfred’s Guard cap badge, gilding metal, two loops north-south. 64mm tall, 48.5mm wide. The shield of arms of Prince Alfred within a oak and laurel wreath. 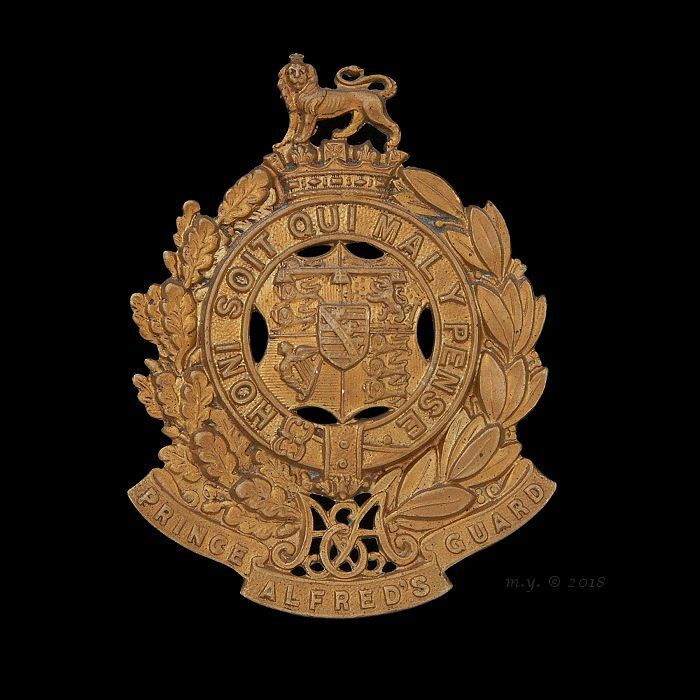 Below is the cypher of Prince Alfred and a scroll embossed ‘Prince Alfred’s Guard.’ Above a coronet and lion statant guardant.